Far too many speaker docks for Apple products are boring black boxes. 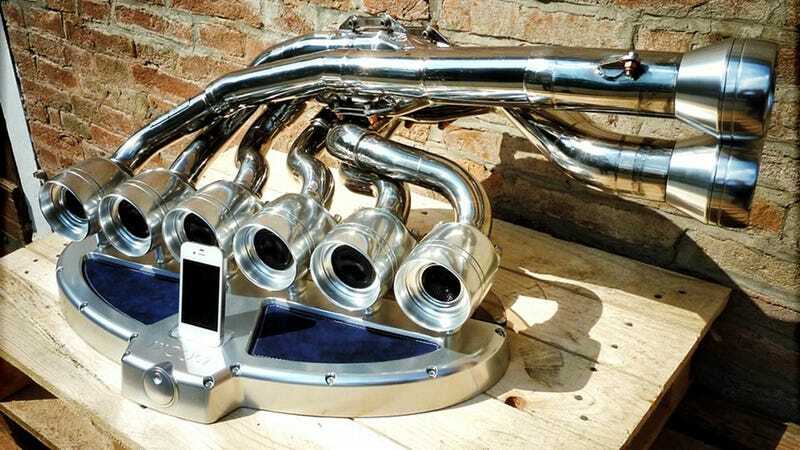 These hand-built aluminum docks shaped like the exhaust pipes from hot rods are some of the most creative we've seen in awhile. Designed in Italy, iXoost docks come in three models: eight cylinders, 10 cylinders, and 12 cylinders. The eight- and 10-cylinder models both have two 28mm tweeters, two 25mm mid-ranges, a 100mm sub, and a 200mm sub—the latter model is larger in size. The 12-cylinder model adds a third tweeter, midrange, and 100mm sub.